During a meeting held on 28 January in Sofia, Bulgaria, the European Social Partners in Fisheries*, the ETF and Europêche, promoted together with the ILO ** the swift ratification of the ILO Work in Fishing Convention C188. The event was also attended by high-level representatives of the Bulgarian Ministries of Labour, Transport and Agriculture, who share competence over the ratification of the Convention. The Convention, applicable to all types of fishing vessels, regardless of their size, aims to provide minimum standards to protect fishers in all aspects of their work. Its transposition into EU legislation would help improve working and living conditions on board fishing vessels not only in EU waters but on a global level. 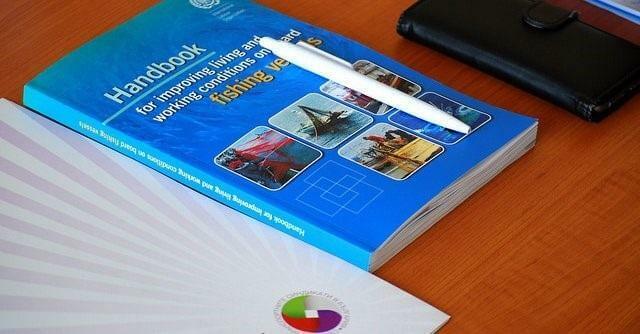 Worldwide the fishing industry employs over 30 million men and women who could benefit from the implementation of the Convention. It would create a safer working environment and better working conditions for one of the most hazardous professions. In May 2012 the European social partners already signed an agreement on the ILO Work in Fishing Convention 188 and in October 2013 they adopted a resolution to encourage the European Commission to pursue its implementation. During the meeting Brandt Wagner, Head of the Transport and Maritime Unit, ILO noted “This Convention is key for giving fishers worldwide adequate protection. Bulgaria is leader in terms of ratification of ILO Conventions, and was one of the first countries in Europe to ratify the Maritime Labour Convention, 2006. The ILO looks forward to continued consideration by Bulgaria to taking steps to ratify Convention No. 188, including undertaking a comparison between national laws and the Convention, to determine what, if any, changes might be called for to align Bulgarian laws, regulations or other measures with the instrument“. The meeting in Sofia follows an earlier gathering in Madrid, Spain in November where representatives of the Spanish administration were present. Both the meeting in Sofia and Madrid were held within the framework of an EU co-funded project. Please click here to view the pictures taken at the meeting.